ALAMEDA, Calif. – The Oakland Raiders have re-signed the following four free agents, the club announced Monday. Autry: Returns for his fourth season after making the squad as an undrafted free agent in 2014…Played in all 16 games with seven starts in 2016, posting 37 tackles (22 solo), 2.5 sacks and two fumble recoveries, while adding a blocked PAT…In 2015, led the NFL with three blocked kicks on special teams (two PATs and one FG), posting the most blocks by a single player in a season since 2011…Career totals include 40 games played with 15 starts, 79 tackles (49 solo), 5.5 sacks, two fumble recoveries and seven passes defensed. Holmes: Enters his third season in Oakland…Suffered an injury in the preseason opener in 2016 and was placed on the Reserve/Injured List on Aug. 29…Did not appear in a game in 2015, spending nine weeks on the active roster and seven weeks on the practice squad…Originally signed with the Raiders as an undrafted free agent out of Purdue, where he played in 49 games and caught 65 passes for 685 yards and six TDs. Kirkland: Begins his second season with the Silver and Black after appearing in six games with four starts as a rookie in 2016…Played primarily as an extra offensive lineman…Signed with the team as an undrafted free agent in May 2016 out of Arkansas, where he appeared in 38 games with 34 starts. Roberts: Enters his fourth season after originally signing with the team as an undrafted free agent in 2014…Set a career high with 38 receptions in 2016, and added 397 receiving yards and five TDs…Raiders are 9-0 when he catches a TD pass, and he has recorded four game-winning TD receptions over his career…Career totals include 32 games played with 11 starts, 70 receptions for 877 yards and 10 TDs. NAPA, Calif. – The Oakland Raiders have claimed DB Tramain Jacobs (New York Giants) and LB Lenny Jones (San Francisco 49ers) via waivers, the club announced Friday. Jacobs was originally signed by the Baltimore Ravens as an undrafted free agent in May 2014. He spent most of the 2014 season Baltimore’s practice squad before being elevated to the active roster and appearing in three games for the Ravens, primarily on special teams. Last year, he was waived by the Ravens at the end of training camp before joining the Giants in September and playing in five games. For his career, Jacobs has appeared in eight games and recorded three special teams tackles. The 5-foot-11, 190-pounder played in 26 games over two seasons at Texas A&M, totaling 55 tackles (39 solo), two interceptions and 13 passes defensed. Jones was originally signed by the San Francisco 49ers as an undrafted free agent in May 2016. He appeared in 50 games with 31 starts over four seasons at Nevada, totaling 149 tackles and 19 sacks, ranking fifth on the school’s all-time sack list. The 6-foot-3, 270-pounder is a native of nearby San Leandro, Calif., and attended San Leandro High School. In corresponding moves, the Raiders have waived/injured CB SaQwan Edwards and waived DE Damontre Moore. Additionally, DL Denico Autry passed his physical and returned to practice today. 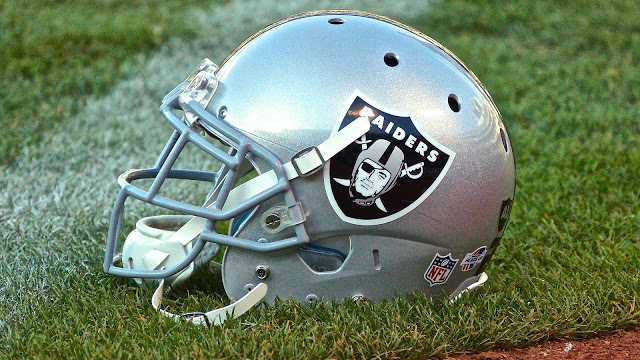 ALAMEDA, CALIFORNIA– The Oakland Raiders have re-signed the following 10 free agents, the club announced Tuesday. 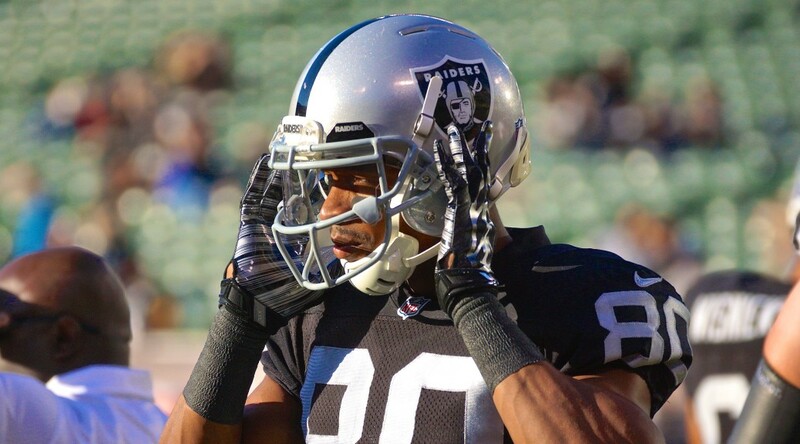 Streater: Enters his fourth season with the Raiders after making the team as an undrafted free agent in 2012…Missed the last 13 games of 2014 after being placed on the reserve/injured list with a foot injury…Posted 84 yards on nine receptions and one TD prior to the injury…Career totals include 35 games played with 19 starts, 108 receptions for 1,556 yards (14.4 avg.) and eight TDs…Led the team in receptions (60) and receiving yards (888) in 2013, setting career highs. Asante: Enters second season with Oakland after playing in six games, starting two, in 2014 before suffering a season-ending injury…Career totals include 23 games played, two starts, 34 tackles (28 solo), one INT, one pass defensed and two forced fumbles…Tallied 23 tackles (18 solo) and one forced fumble last season…Appeared in five games with the Indianapolis Colts in 2013…Debuted with Tampa Bay in 2010, playing in 12 games for the Buccaneers over his first two NFL seasons…Originally drafted in the fifth round (160th overall) by the Cleveland Browns in 2010. Autry: Returns for his second season after making the squad as an undrafted free agent in 2014…Spent six weeks on the practice squad before appearing in 10 games last season, totaling 13 tackles (eight solo)…Also notched two special teams tackles and one blocked punt…Blocked a punt against Seattle (11/2/14), resulting in the Raiders’ only special teams TD of the season. Holmes: Enters third season with the Raiders after leading the team in receiving yards in 2014, posting career highs with 47 receptions for 693 yards (14.7 avg.) and four TDs…Career totals include 33 games played with 17 starts, 74 receptions for 1,135 yards (15.3 avg.) and five TDs…In 2013, appeared in 10 games, starting four, and caught 25 passes for 431 yards (17.2 avg.) with one TD…Played in seven games with the Dallas Cowboys as a rookie in 2012, catching two passes for 11 yards…Originally entered the league as an undrafted free agent with the Minnesota Vikings in 2011. King: Begins his third season as Oakland’s punter after signing with the Silver and Black as an undrafted free agent in 2012…Has appeared in 32 games with 193 punts for 9,037 yards (46.8 avg. ), placing 54 punts placed inside the opponents’ 20-yard line and only 14 touchbacks…Set franchise records in 2014 with 109 punts and 4,930 yards…In 2013, became third punter in franchise history to lead the NFL in punting with a 48.9 average…Missed the 2012 campaign due to a foot injury. Leonhardt: Enters his second year with the Silver and Black after making the team as an undrafted free agent in 2013…After spending his entire rookie campaign on the practice squad, played in 12 games, starting three, for the Raiders last season…Recorded six receptions for 35 yards (5.8 avg.) with one TD…Season cut short due to a concussion, landing him on the reserve/injured list for the 2014 season finale…Also contributed significantly on special teams, notching four tackles and one forced fumble. McCants: Has appeared in 24 games, starting three, for the Raiders since joining the team’s practice squad prior to the beginning of the 2013 season…Originally selected by the New York Giants in the sixth round (201st overall) in the 2012 NFL Draft…Contributed primarily on special teams and as an extra offensive lineman in 2014, seeing action in 11 games…Made 13 appearances and started three games at right tackle in 2013…Spent majority of his rookie season on the Giants’ practice squad after being waived at the end of training camp. Olawale: Rejoins Oakland for his fourth season with the club, contributing on offense and special teams…Career totals include 35 games played with one start, five carries for six yards (1.2 avg. ), and 12 receptions for 81 yards (6.8 avg.) and two touchdowns…Appeared in all 16 games for the Raiders in 2014, posting five receptions for 18 yards (3.6 avg.) and his first two career touchdowns…Also finished second on the team with seven special teams stops…Originally entered the NFL with the Dallas Cowboys in 2012. Ross: Returns for his fourth season with the Raiders…Has played in 43 games with 24 starts for Oakland over the last three seasons…Career totals include 183 tackles (119 solo), two INTs, two sacks, 14 passes defensed and two forced fumbles…Appeared in one game with the Miami Dolphins in 2014 after being waived by Oakland following training camp…Re-joined the Raiders prior to Week 4…Finished 2014 with 68 tackles (47), two INTs, eight passes defensed and one forced fumble in 13 games…Originally joined the Raiders after being signed off the Green Bay Packers’ practice squad in September 2012. Thorpe: Re-joins the Raiders for his second season with the team…Played a key role on the team’s special teams unit in 2014…Posted two tackles (one solo) and three passes defensed on defense and six special teams stops…Career totals include 23 games played, six tackles (five solo) and three passes defensed…Joined the Raiders as a reserve/future signing in 2014…Played for the Kansas City Chiefs in 2012 after signing with the team as an undrafted free agent.